STCU is growing, and so is the local demand for home loans. Both being great news!!! That's the reasoning behind the opening of STCU's first stand alone home loan center which opens on Wed. Aug 29th along Argonne Rd. in Spokane Valley. The new location is very convenient, just off of I-90 at the corner of Argonne & Mission ( 9207 E. Mission ) . The new Argonne Home Loan Center is housed in a 2595 square foot building that STCU has extensively remodeled into a cool new space, that looks drastically different from the dated 1970s look it once had. The new facility will house a number of experienced loan officers to assist in all levels of the home loan process. And, while this branch will be limited to only doing transactions directly related to real estate lending inside, members can also use 2 new drive up ATM's outside . The ATM's are like any ATM at an STCU branch and are part of the co-op network, meaning they are surcharge free for anybody who uses a credit union that is a member of that network. Home loan information and processing will still also be available at STCU's many neighborhood branches and their web site. This location is designed to give their members another convenient location for their needs. 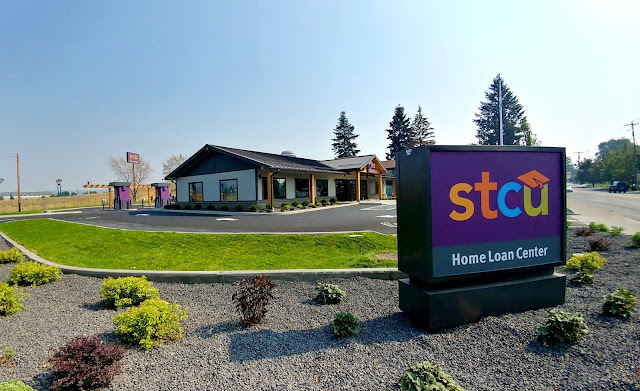 In addition to the Argonne site, STCU will open a home loan center in November in Kennewick. That will be with their first branch in the Tri-Cities and they also still have a home loan center within their main branch at 106 W. Nora. In case you haven't heard, Spokane Barre is re-launching with new owners. 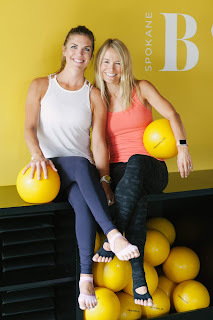 The business is locally owned and operated by Katie & Hillary who tell me owning their own studio is like living out a dream. Spokane Overstock has come along way from their beginnings as small furniture business in a Spokane Valley warehouse . While they do still have a store in Spokane Valley they have grown to 5 locations, in just a few years. And, 2 more are coming in near future, but before that they are re-branding. They are growing as well, with the recent opening of a new 5th location, this time on N. Division just outside of Downtown Spokane. This new Wallaroo's location is in a building that has been vacant for sometime and now has new life and pretty cool new turquoise paint job, very eye catching. This new location is in the former Comfort City location at 1001 N. Division. In addition to the new Spokane location, our friends over at boisedev.com have reported Wallaroo's Furniture and Mattresses will soon be the new tenant of retail building at 5804 Fairview in Boise. This will be their 6th store and the second time they have opened a store outside of the Inland Northwest as they also operate a store in Missoula. Wallaroo's Furniture and Mattresses keeps their prices lower then their competitors buy purchasing overstocked merchandise from a number of large retailers. Their items are still top quality and are recognizable brand names, with most every type of mattress and furniture available and all stores are open 7 days a week. Ladder Coffee & Toast, is currently located in a small drive up at 603 W. Hastings in North Spokane. They business owners are very passionate about good coffee, presenting several specialty espresso's and coffee and building quite the following, some of which say Ladder is the best coffee place in the area. And, now the business that started out of home based pop up events is growing once more. 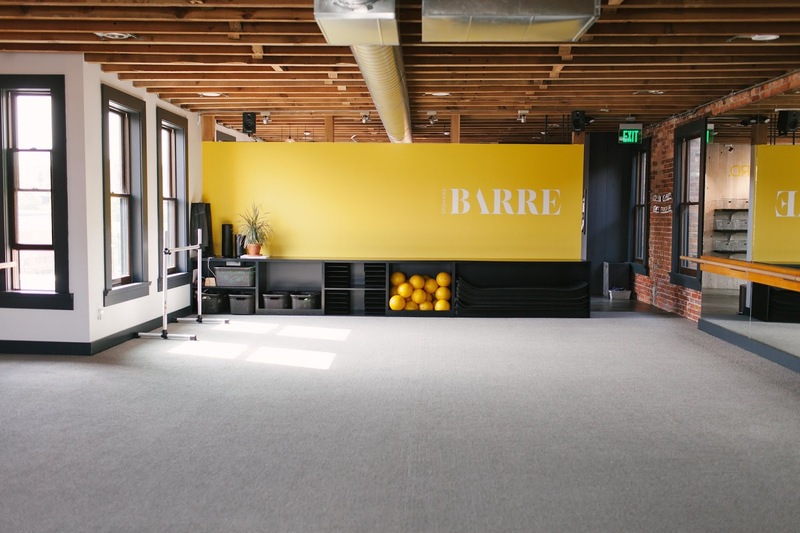 This time to a full scale facility in a cool building that's convenient to both Browne's Addition and Downtown. Ladder Coffee & Toast will be renovating the former office building at 1516 W. Riverside into their home. With the new Ladder Coffee & Toast location they'll be able to expand into a full coffee, toast and roasting program. They currently hope to be open sometime around mid-October. Until then however Ladder Coffee & Toast will remain on W. Hastings. Despite 90+ degree temperatures and poor air quality as I’m writing this we’re actually only a couple of months away from fall and Halloween. And as you may know, in the weeks before Halloween, several vacant stores fronts in our area fill up with locations of the Spirit Halloween chain. In addition to Spirit Halloween stores a Halloween Express store will open again this year. They will be in the former Hastings store at 1704 W Wellesley Ave. , where they were last year. Party City, with stores at North Pointe Plaza and in Spokane Valley always dedicates large sections of their stores towards Halloween costumes and decor. If you want to shop local, which I encourage you to do, Party Palace at 2607 N Division is the place to check out. They also have a large selection of Halloween merchandise every year! We first mentioned the new Ponderosa Village project back around the first of the year. 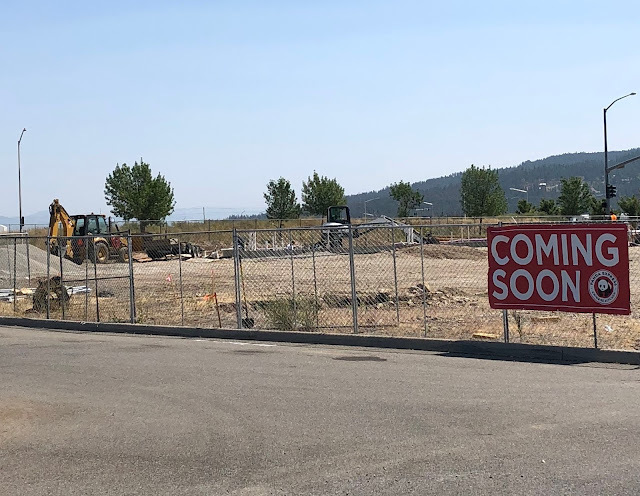 If you don't already know about this project, it's a cool new commercial development with several buildings to be built along the 11200 block of S. Dishman-Mica Rd in Spokane Valley. The project will be built out in phases and the developers promise to make it a neighborhood oriented center, listening to the wants of the area when bringing in businesses to the site. The whole project will surround and will be anchored by Barney's Harvest Foods, a grocery store that's already at the site. And, although it's happening a bit later then originally expected, we're happy to report that construction is finally underway! We stopped by the site yesterday ( 8/15/18 ) and observed substantial site work, and even some early foundation work. And, while clearly it will be some time before any businesses actually open there, we are already learning what will likely be there. One space has been leased to a spa / salon to be called The Mix Salon & Day Spa, and i'm told they will likely have a coffee shop and a restaurant coming that will be announced soon. 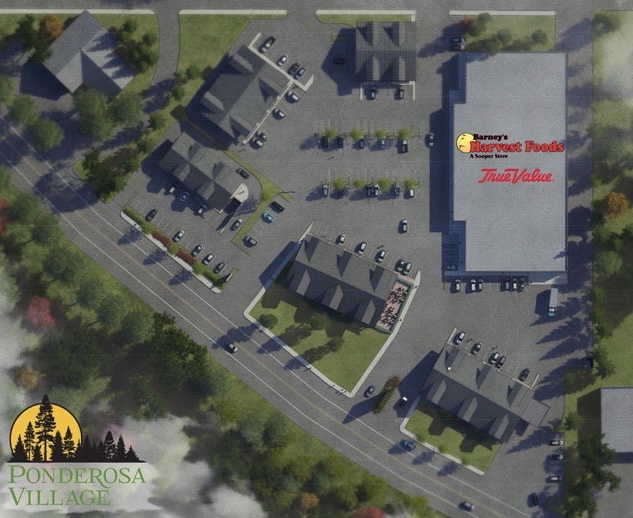 Since this project was announced the owners have also acquired a small lot to the east of the grocery store, allowing for the completed Ponderosa Village to be slightly larger then originally planned. When fully built out Ponderosa Village will have 6600 square feet of space, 15 possible retail spaces, and 180 convenient parking spaces. 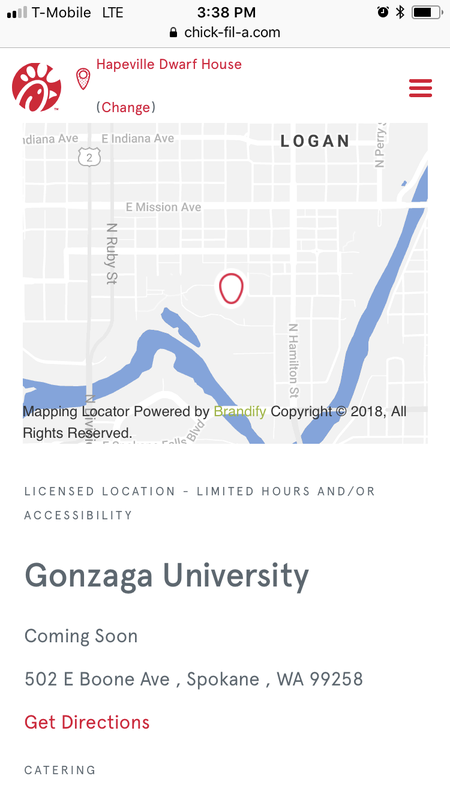 If your interested in leasing space at Ponderosa Village, check their website at http://ponderosavillagespokane.com and follow along on their Facebook page. Note- This site is not affiliated with the project. One of the questions I get asked the most is “ when is Chick-fil-a coming to Spokane? “. While we still don’t have an opening date it looks like Spokane will soon get it’s first Chick-fil-a. This location however will be an on campus location at Gonzaga University, operated by Sodexo who runs all of the “Zag Dining” locations. We’re just learning of this and still working on nailing down the exact details so keep watching http://inlandnwbusiness.com and http://www.facebook.com/inlandnorthwestbusinesswatch for more updates as we get them. 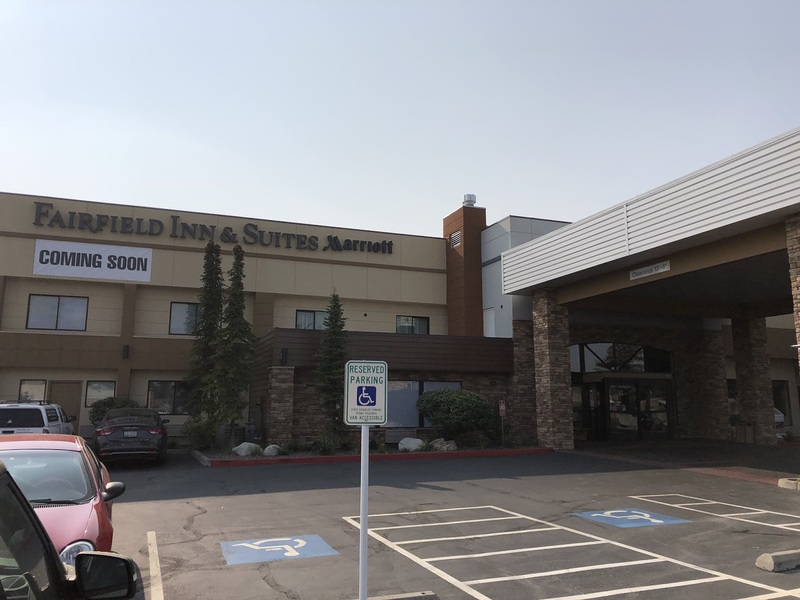 A full renovation project is complete and now what once was the Quality Valley Suites hotel is now back in business, but this time as the Fairfield Inn & Suites Spokane Valley. The new hotel is located just south of I-90 at 8923 E. Mission Ave. , by the Argonne Rd. exit. 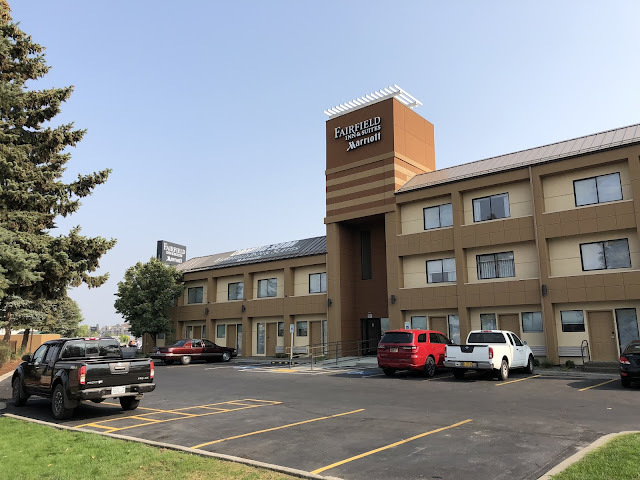 The new Fairfield Inn & Suites boasts 127 rooms and is a franchise location owned by Sterling Hospitality, who are also based in Spokane Valley. The hotel is the second Fairfield Inn & Suites location in the Spokane area, with another near the Convention Center in Downtown Spokane. This hotel brand is considered a moderate tier lodging option and the new hotel has implemented the most recent Fairfield Inn design. The hotel's design is described by Callette Nielsen, VP and global brand manager as " Delivering both function and comfort, our new design and décor elevate the Fairfield brand, setting a new standard in the moderate tier category. " Every corner of the Valley location has been renovated and updated, new décor and furniture abound. Guestrooms, the lobby and common areas all have received new modern décor and furniture and staff are standing by ready to serve. Additionally the Fairfield Inn & Suites Spokane Valley also features an indoor swimming pool, 24/7 fitness center, a four hole putting green, valet laundry service, complimentary wifi, fax and copy services. Looking for meeting space? the Fairfield Inn & Suites Spokane Valley has that too with 2095 square feet of meeting space available to accommodate functions of up to 80 people. Craft beer is big in the Inland Northwest, new breweries are still coming on line and many of the existing ones are still growing. Most of us have visited a few, but did you know the Inland Northwest is home to 46 unique breweries and more then 20 of those are located in and around Spokane. A new local business is making it even easier to discover the Spokane beer scene. A born and raised native of Spokane has now launched the Spokane Brewery Tour, a tour provider that provides safe transportation and takes guests around to at least 3 local breweries. There you learn about the beers, the history of the brewery and much more. All while enjoying the company of like minded beer lovers ( you must be 21 however ). Tours are offered on various days and are about 3 to 3 1/2 hours long. 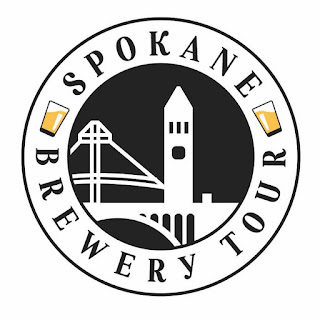 There is a tour in Spokane, Spokane Valley and a walking tour. Private custom tours are also available and group discounts are available for Spokane residents looking to book a tour for a special occasion. While Spokane was outbid for Amazon's HQ2 , we are still home to several awesome companies that are growing. Two such companies are even expanding their HQ's here by moving into a formerly under utilized large building in Spokane Valley . Etailz,Inc. is a large partner site, selling goods on Amazon, Jet, Ebay, Wal-Mart, Wish and Alibaba's websites. The company is actually owned by the much larger Trans World Entertainment of New York, but the main Etailz HQ is here in Spokane. Well, now Spokane Valley. Etailz is now in a 40,000 square foot space within the from Itron building at 2818 N. Sullivan Rd. In Etailz's case the company is already operating out of the new facility, where they employ about 250. Previously the company had operated in a much smaller office space at the McKinstry Station building nearby Gonzaga. 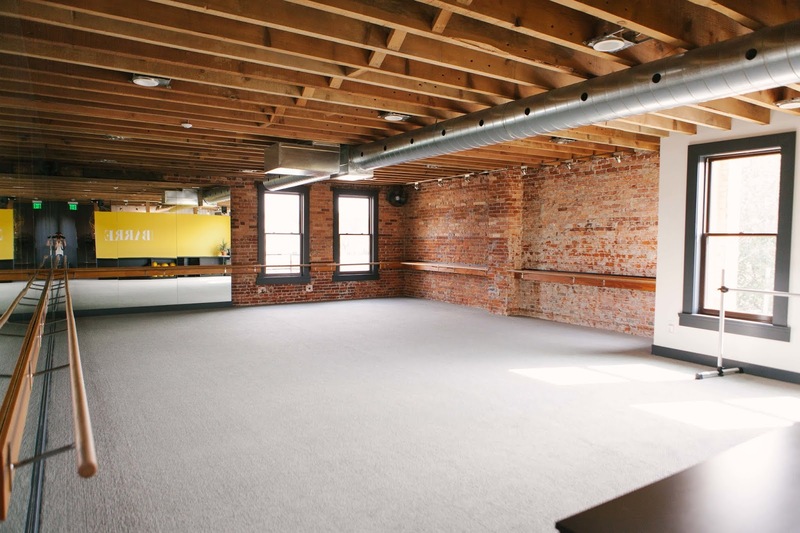 With this new move Etailz now has 4 times the office space, while still enjoying a casual, sort of hip working environment. Also, coming later this year to the building at 2818 N. Sullivan Rd. will be the HQ of Stay Alfred. This company is unique business currently headquartered in a smaller building on Sprague Ave in Downtown Spokane. Stay Alfred operates travel apartments in 25 US cities and is known for leasing cool and upscale places in lively locations. 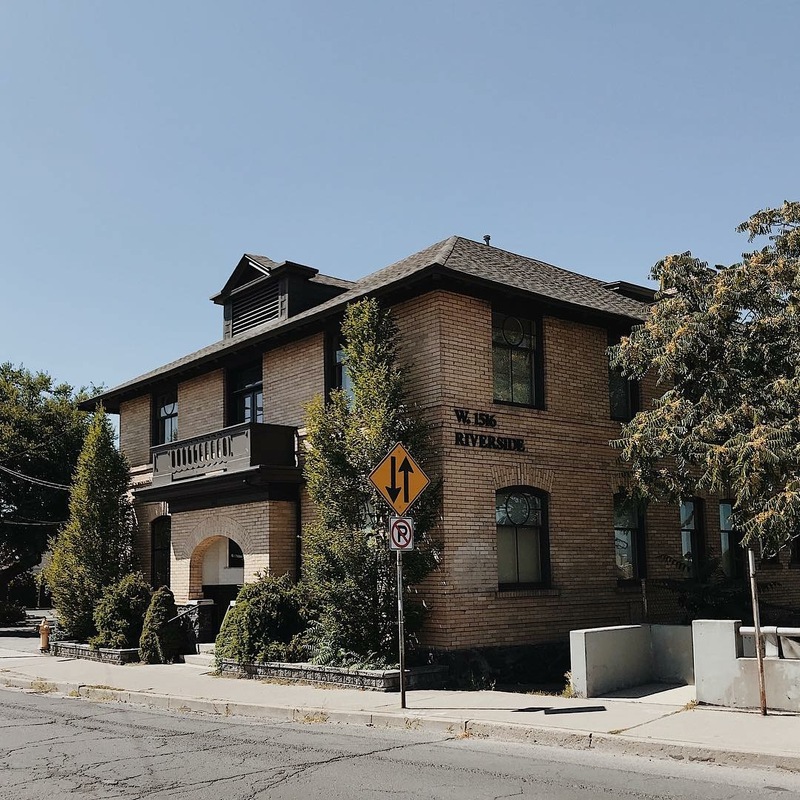 It was even recently announced that Stay Alfred will operate one floor of " The M " apartment building in Downtown Spokane. The concept is somewhat similar to Airbnb, VRBO but still a bit more cool and unique. Within the former Itron building, Stay Alfred will occupy a little more then 37,000 square feet with likely much of the same office features as their neighbors at Etailz. Stay Alfred will likely move in later this year as construction permits we're issued just last week for the build out of their offices. A couple of months ago we we're the first to report that Multicare was bringing their Indigo Urgent Care chain to Spokane. Construction is already underway for that location which will open in October at 9420 N. Newport Hwy. This will be in a new construction building that also houses a BECU branch and a TBD retail space. But, as we speculated the Newport Hwy location won't be the only one coming to our region. That's because Indigo is also working on a South Hill location, which doesn't have an opening date set just yet. The South Hill Indigo Urgent Care will join the Regal Plaza development at 4803 S. Regal St Pad C, which is also known as the former Café Rio restaurant site. Indigo Urgent Care is a chain of urgent care clinic that are considered to be high-end. To date they have 16 other locations all of which are in Western Washington. Patients receive coffee, gourmet cappuccino, free wifi, charging ports and are handled by a concierge. They also promise to have all of the latest medical equipment and knowledgeable staff to get patients through the process quickly. For convenience Multicare's Indigo Urgent Care locations are open 8am-8pm 365 days a year. They are set up to treat minor health issues for patients of all ages. It's been a year this month since we first caught wind of a plan to open a new hotel at Spokane International Airport. This amount of time is not a complete surprise with permitting, financing, etc.. these projects do take time. But, now we're seeing that construction is actually about to begin. The new hotel will be part of Springhill Suites by Marriott chain, unlike the Staybridge Suites name that was mentioned early in the process. This new hotel will be the closest lodging option to the terminal and will be in what is currently part of the Airport's parking area. We're told actual construction on the hotel should begin in September and Airport personnel have already blocked off this section of the parking lots. The new Springhill Suites hotel will be in-between the car rental area and the Ramada hotel, near the parking exit plaza. Tharaldson Hospitality Management of Fargo,ND is developing the hotel, which is scheduled to open in the last half of 2019. 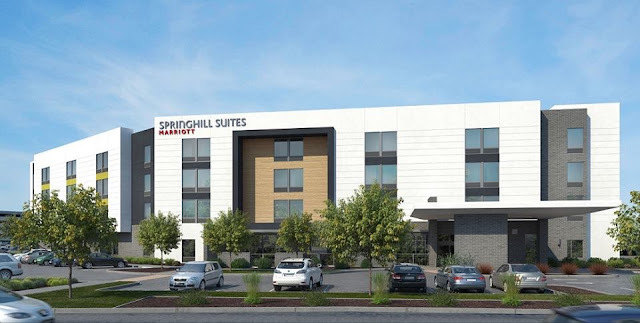 The new Springhill Suites will be a 4 story building with modern looking architecture and 110 total rooms. An indoor pool, fitness center and a business center will also be included in the finished building. Tharaldson is also currently developing a Staybridge Suites hotel at Coeur d' Alene's Riverstone development which has been under construction for a few weeks now. Above- a rendering of the new hotel. The new hotel project is due in part to recent increases in passenger traffic at the Airport, with several new flights now flying out of Spokane. 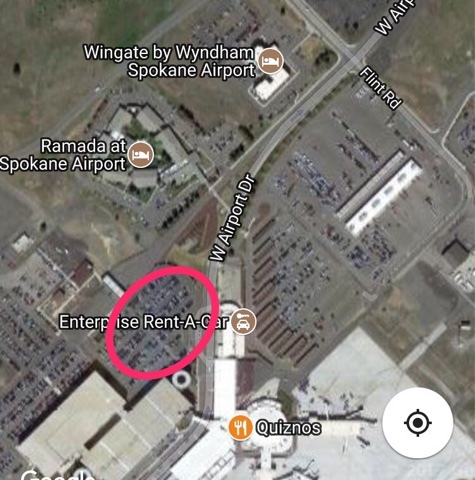 Some might be concerned about the removal of parking spaces at a growing airport. However they are quick to point out that the airport is currently working on a large expansion to the economy parking area which will create 1300 new parking spaces near the corner of in-bound Airport Dr. and Flint Rd. . Major renovations are also in the works for the near future within the terminal and we expect to be hearing more soon about the airports gas station/ c-store / fast food development planned along another section of Airport Dr. This will be the first location of the Springhill Suites by Marriott chain in Spokane, although there is one not far away in Coeur d' Alene. The chain operates over 350 locations, all of which are all suite hotels and geared towards the upper-moderate lodging segment. This will be the third hotel on property at Spokane International Airport, with 165 rooms and the Wingate Inn & Suites with 83 rooms. Keep watching for more as we'll likely re-post when the Springhill Suites at Spokane International Airport gets closer to opening. 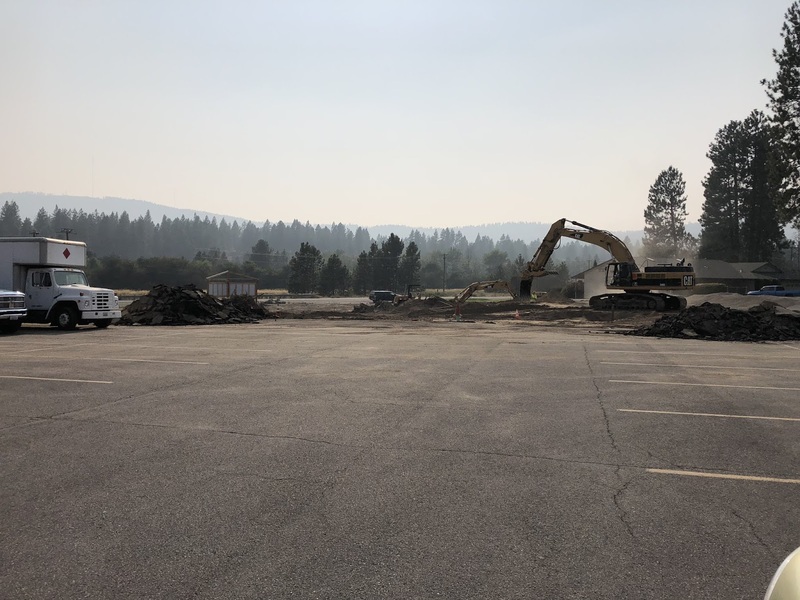 Construction has officially started for a new Panda Express location in Post Falls / State Line. 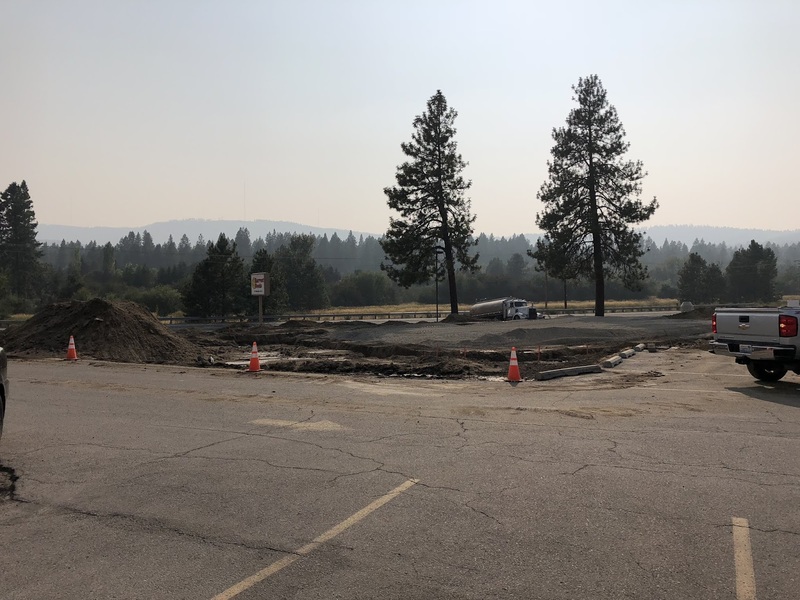 Millennium Construction Group of California has started working on the site and foundation for the new restaurant which should open later this year. 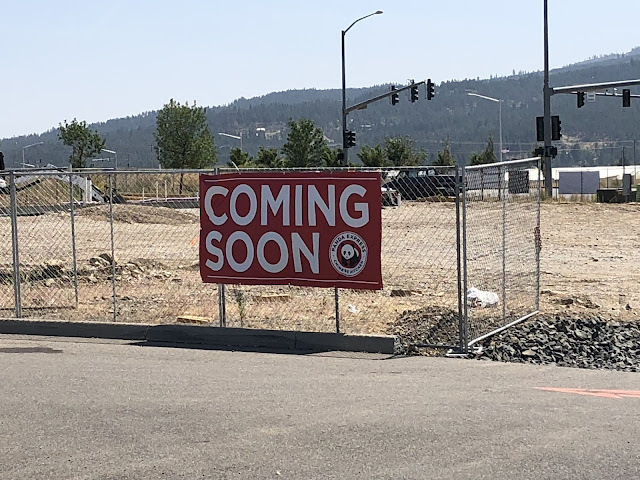 This will be the 3rd Panda Express location in Kootenai County. 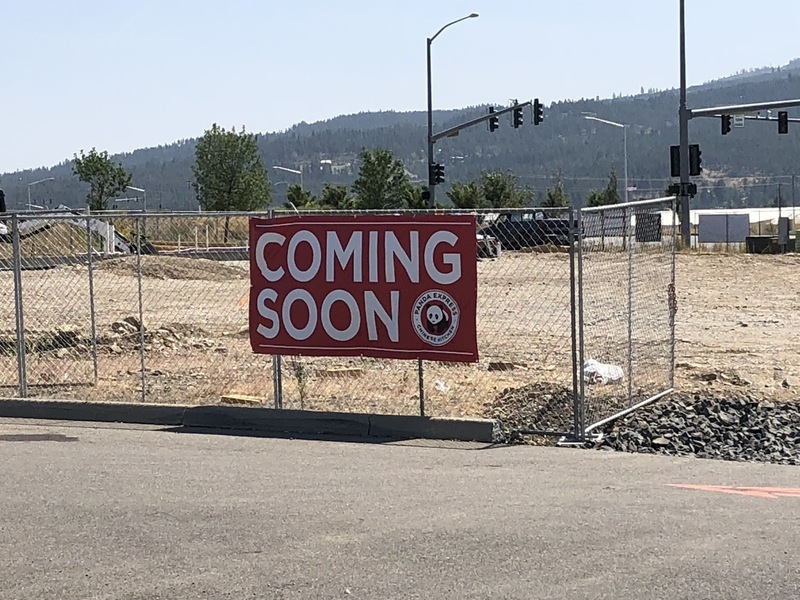 The new Post Falls Panda Express will be out front of the State Line directly at the corner of W. Pointe Pkwy and Baugh Way. This is the first commercial construction in the Pointe at Post Falls development in some time. Former Gonzaga point guard and NBA player Dan Dickau is expanding his local empire of barbershops with a new one opening very soon in Spokane Valley. The shops are part of the larger The Barbers chain of barber shops, which are far from your average barber shops. With over 30 locations around the all around the Northwest, The Barbers says they are "bringing back that old fashioned barbershop experience for men of all ages" . The new Spokane Valley location will feature TV's for sports, cool décor like framed jerseys and even a pool table. Multiple barber stations get customers in and out quickly and at a fair price. Men's cuts are $20.95 , with a " the works " cut being only a bit more at $24.95 and a few other services are also offered. But, of course with the opening of a new location there will be discounts, great discounts! From when they open on Aug 7th through the end of August they will offer hair cuts for only $5!